Oliver wraps you in comfort. 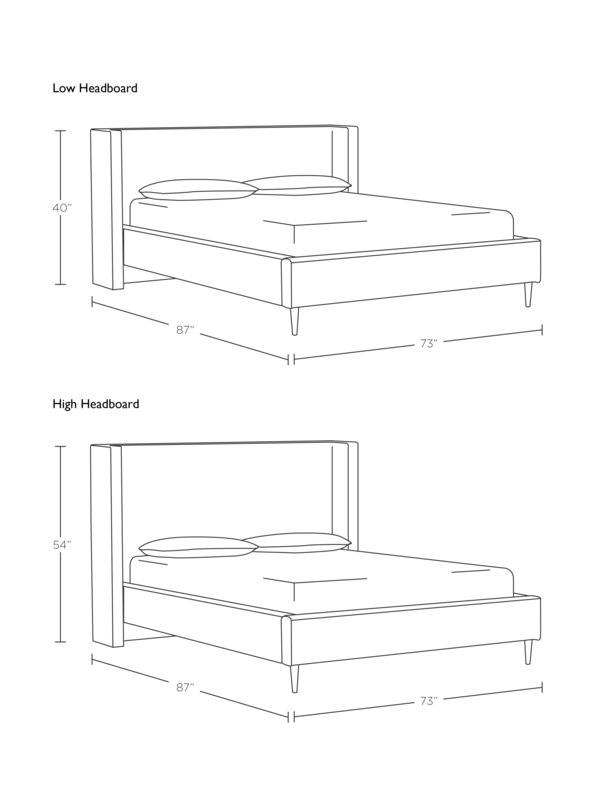 The headboard of the queen fabric bed frame extends all the way to the floor in one long line. Its shelter shape softly hugs the bed's frame, creating a cozy place to lean back and enjoy a good book at the end of a long day.